There’s no doubt that Canada has some of the worst winter conditions you can imagine. Winter driving can take an excessive toll on your car, truck, or SUV, with extreme temperatures that wreak havoc on many of your vehicle’s systems. We’ve assembled the following list of Spring Car Care Tips that we recommend you follow. If you have any questions, please bring your car, truck, or SUV into Van Isle Ford for a comprehensive Spring inspection. 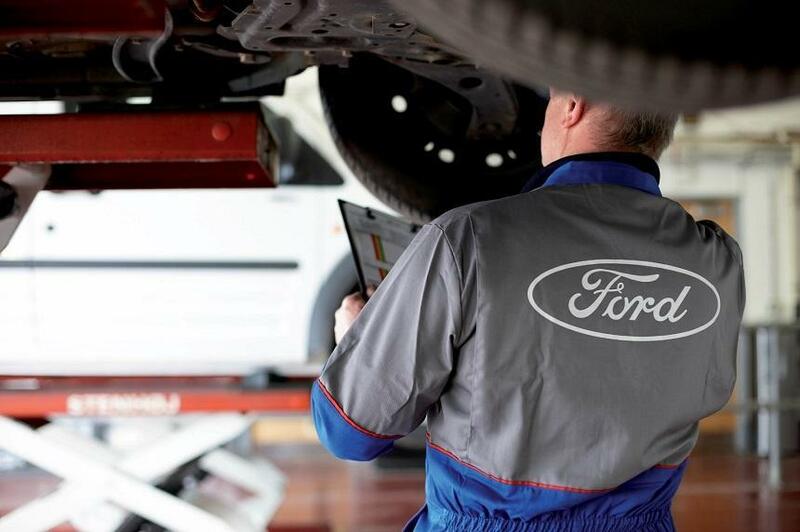 The service advisors at Van Isle Ford will make certain that you’re following the correct maintenance schedule. Driving in many areas of Canada qualify as “Severe Use” conditions. The standard maintenance schedule and the “Severe Use” schedule can differ greatly. And it’s important to follow the proper schedule for your driving for both your vehicle’s maintenance needs and for safety. If you have winter tires fitted, it’s about time to get them off. Removing your winter tires on a timely basis helps save you money, as they wear quickly on dry roads. Also they don’t have the same traction on dry roads as summer of all-season tires. If you don’t fit winter tires, ask the technicians to inspect your tires closely as its common for snow-hidden hazards to cause cuts, punctures, and other damage. Having the oil and oil filter replaced at the recommended intervals listed in your vehicle’s owner’s manual or dashboard indicator lights are illuminated to do so by the Intelligent Oil-Life Monitor on certain Fords is one of the best ways to keep the engine running trouble free. Spring Car Care Tip: at the same time request an inspection of the power steering fluid, brake fluid, and transmission fluid as well as your windshield washer fluid and your coolant should all be part of your Spring car care. If the levels are low, the technician will top them up, and flush or replace them as directed by the maintenance schedule in your owner’s manual. Cold temperatures dramatically reduce the effectiveness of your battery, and a battery can even freeze, damaging internal components, causing lasting issues. As part of your Spring maintenance have the complete charging system tested. This will identify whether all the elements of your vehicle’s charging system are operating within specification. Cold temperatures can harden and cause cracking or fraying of these rubber-based components, so it’s important to have your vehicle’s belts and hoses inspected for winter damage as part of your Spring car care maintenance. The technician will also check the belts for proper tension. As you’re well aware, TranBC uses salt on roads as a countermeasure to the formation of ice. While there’s environmental concern about what all that salt is doing to the waterways, there’s also evidence that salt is attacking infrastructure like roads and bridges. And it’s also attacking your car, truck or SUV. If your vehicle has been through more than a few winters, it’s best to have the technicians carefully check the underside to make sure that there isn’t any structural rust forming on the body or frame, or surface rust forming on brake lines that could lead to the loss of braking control. It’s easy to make an appointment to have your vehicle receive a complete inspection at Van Isle Ford’s through its online scheduling system. So as Spring brings shorter nights and warmer days and you live in Parksville, Qualicum Beach, Nanaimomake, Tofino, or Ucluelet make certain your car, truck or SUV is ready for the open road by bringing it in to Van Isle Ford in Port Alberni for a maintenance check-up along with any scheduled services required.